Outstripping 2017 performance in multiple measures, the Canadian high-end real estate market has posted robust numbers in the first half of this year amid a climate of uncertainty brought about by recent regulatory changes, according to Sotheby’s International Realty Canada. In particular, activity and confidence in Toronto’s luxury housing market have recovered from a relative sluggishness last year. “Given unprecedented gains in the region’s $1 million-plus sales volume from 2015 to 2017, with surges of 56% in 2015 over 2014, 65% in 2016 over 2015, and 41% in the first half of 2017 over the first half of 2016 … 2018 sales volume trended in line with 2015’s pre-surge levels: GTA $1 million-plus real estate sales in the first half of 2018 increased 25% from the number of units sold in the first half of 2015, while sales over $4 million were up 72%,” Sotheby’s reported. This was despite sales activity in the over-$1-million segment declining by 46% year-over-year in Q1 2018, and over-$4-million activity falling by 51%. Montreal’s luxury market also reached new, historic heights, with $1 million-plus sales volume increasing by 24% in the first half of 2018. This followed last year’s similarly stellar 20% gains. However, signs of trouble are afoot, Sotheby’s warned. 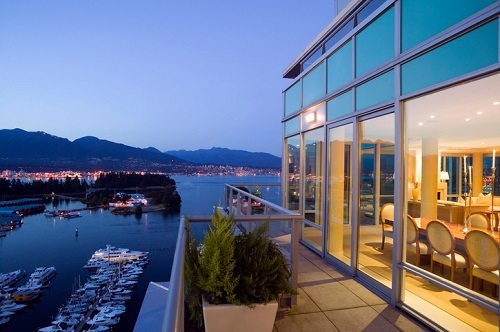 “The collision of rising mortgage rates, stricter lending guidelines and cascading governmental policies and taxes have impacted the performance of several top-tier Canadian markets,” Sotheby’s International Realty Canada president and CEO Brad Henderson stated. In Calgary, $1 million-plus sales shrunk by 11% year-over-year, with the single-family market decreasing by 13% and the attached home segment weakening by 24% during the same time frame.